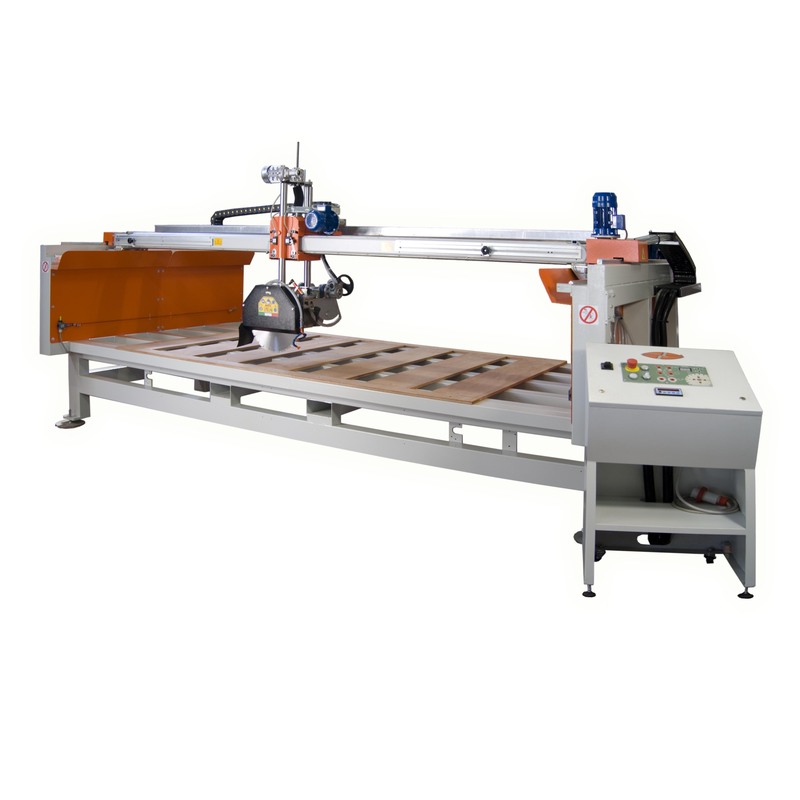 Mondial miter saw for cutting marble. 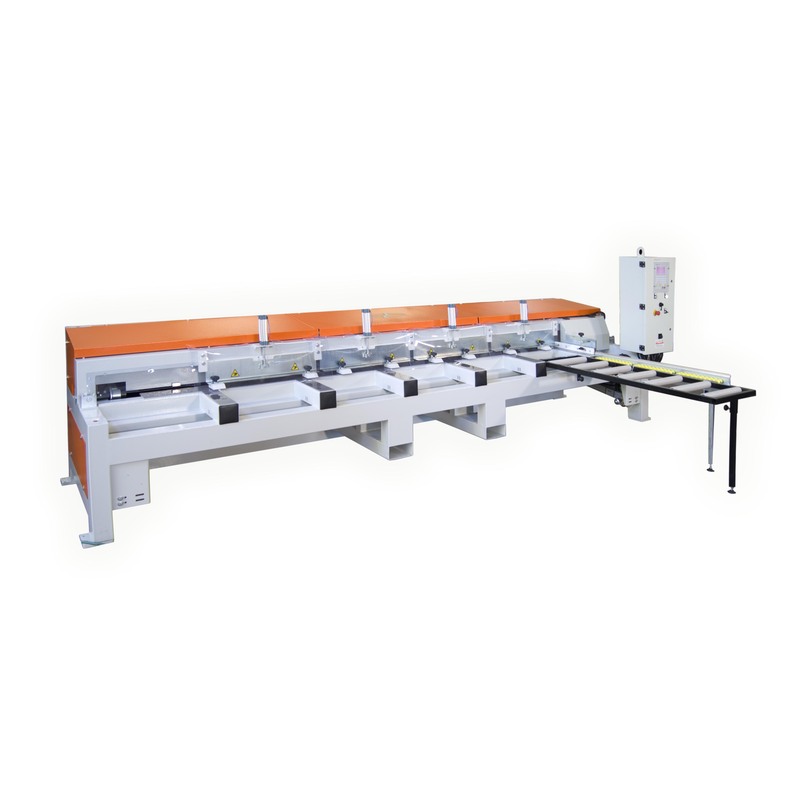 It’s the top quality model of a range of machines dedicated for cutting miters in a very precise way. 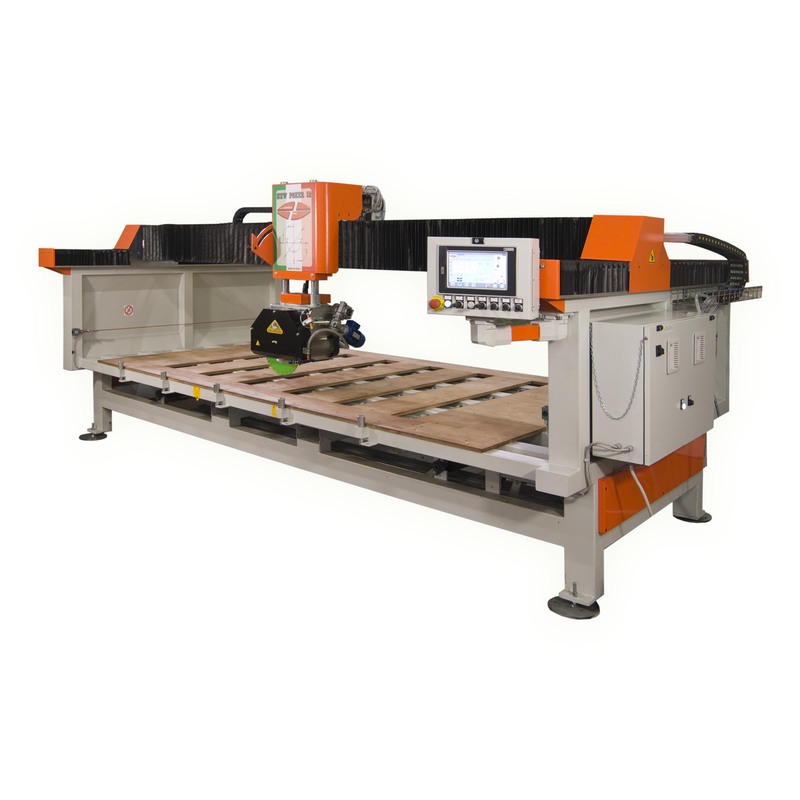 The position of the cutting motor under the bench makes possible that the material polished face does not come into contact with the machine bench. 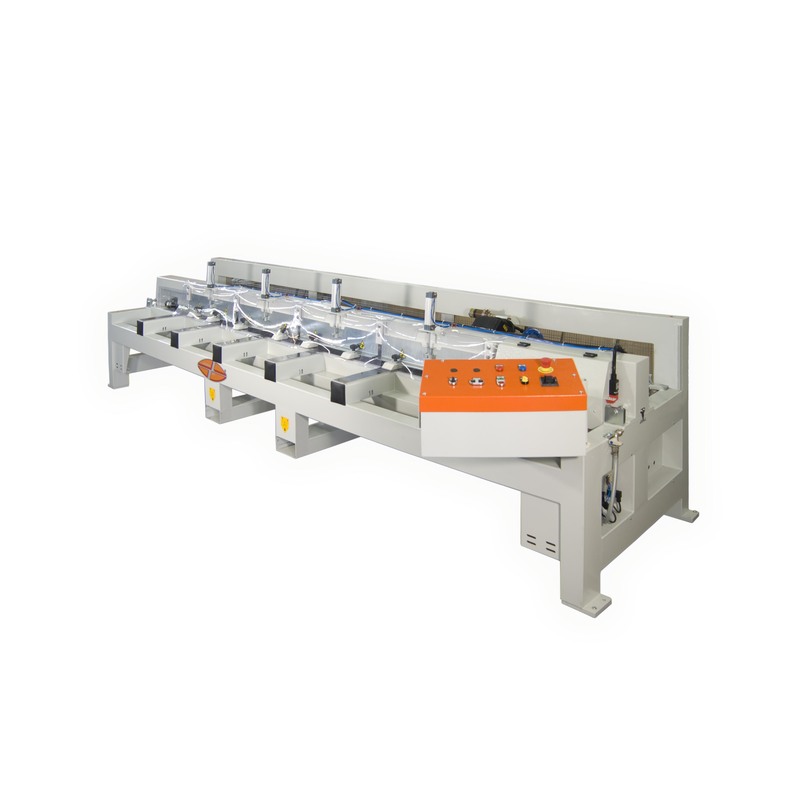 It is equipped with a PLC controlling the cutting movement and speed, the blade tilting from 90° to 43° step by step of 1° each, the diamond blade rotation speed and 4 pneumatic pistons with 8 contact points for blocking the material. 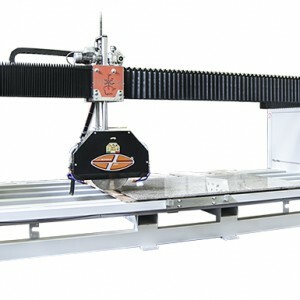 It is possible to cut pieces of 45 mm minimum width (with appropriate clamps).